UNB Lorenzo Society Music Series and the Saint John Early Music Festival will present the renowned Toronto Consort performing Shakespeare’s Songbook in Ganong Hall Lecture Theatre, UNB Saint John campus on Friday, Sept. 22 at 8 p.m. The performance is free of charge to students, staff and faculty of UNB Saint John (UNB ID required). Tickets for off-campus audience members ($20 adults, $15 seniors and $5 students) can be purchased at the door on the night and there will be free on-campus parking for this event. Founded in 1972, The Toronto Consort is internationally recognized for its excellence in the performance of medieval, Renaissance and early baroque music. Led by Artistic Director David Fallis, nine of Canada’s leading early music specialists have come together to form the Toronto Consort. The members, David Fallis, Alison Melville, Michele DeBoer, John Pepper, Paul Jenkins, Katherine Hill, Terry McKenna, Laura Pudwell and Ben Grossman include both singers and instrumentalists. The Toronto Consort often works in collaboration with other actors, dancers and visual artists to produce concerts with dramatic and visual elements, which in many instances provides an historical context for their music. The Toronto Consort has made recordings for the CBC Collection, Berandol, SRI, Dorian, and currently Marquis Classics. 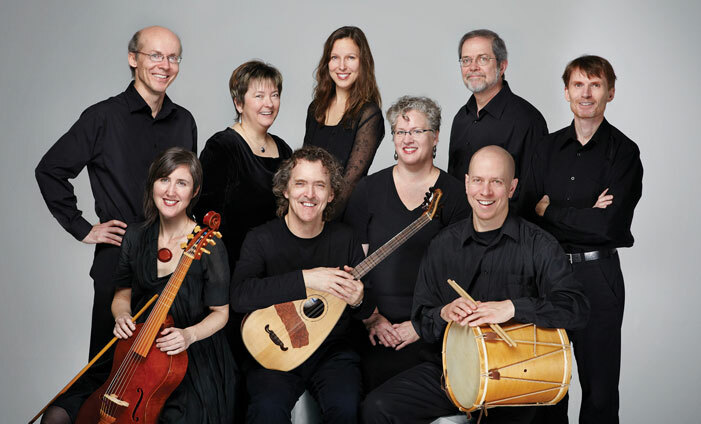 The Toronto Consort has 10 CDs to their credit, two of which have been nominated for Juno awards. The most recent recording, Navidad, was released in 2012. Recently, the ensemble has been called upon to produce a considerable amount of music for historical-drama TV series, including The Tudors, The Borgias and The Vikings, all produced by the cable network, Showtime. Also, The Toronto Consort recorded the soundtrack for Atom Egoyan’s award-winning film The Sweet Hereafter. Distinguished Canadian composers such as John Beckwith, Lothar Klein and David Keane have written pieces especially for The Toronto Consort. Whether portraying the haunting emotion of a minstrel’s ballad or capturing the sparkle of a rollicking madrigal, The Toronto Consort brings alive the glorious music of earlier times. For more information contact the Lorenzo Society Music Series at lorenzo_music@unb.ca.